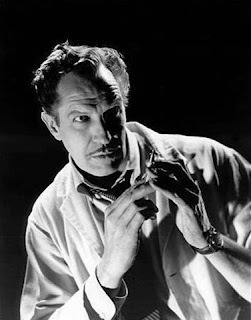 Vincent Price as Roderick Usher -- the haunted hero. This quote by Vincent Price is the key to understanding his standing (in my mind at least) as the epitome of the horror-film actor. 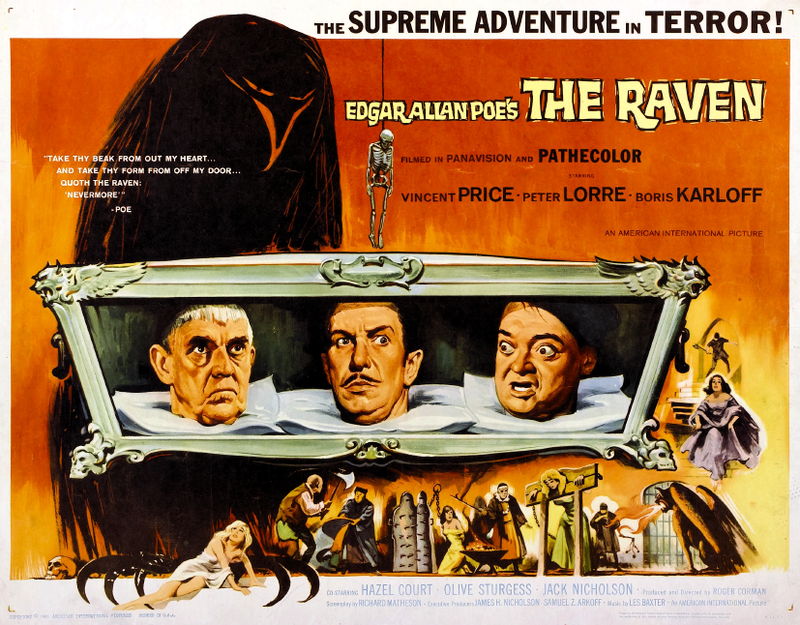 His ability to take a disreputable genre seriously elevated it almost single-handedly to the level of profound art. 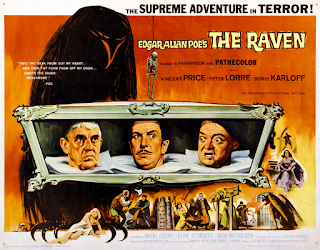 The perfect marriage of his skills to material was achieved during his collaboration with director Roger Corman on the so-called “Poe cycle,” all but one which featured Price and all but one which were based, more or less, on an Edgar Allan Poe story. 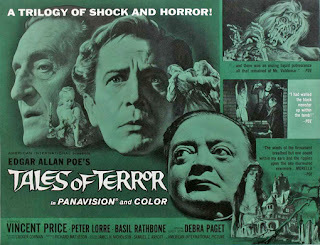 Corman took advantage of the royalty-free, public-domain status of Poe’s stories, found inspired adapters such as Richard Matheson, Charles Beaumont and Robert Towne, and convinced the studio to let him shoot in widescreen and color. In the last, he was influenced by the success of the Hammer horror cycle, which had begun three years earlier. Price was a natural choice for the series. 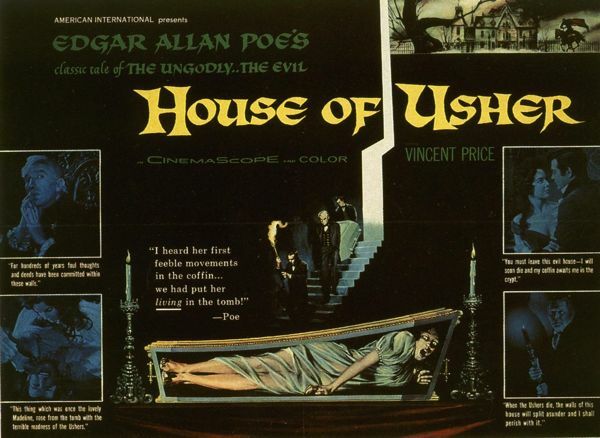 He had gradually become identified with horror film, especially after his appearance as the sinister Henry Jarrod in the first U.S. 3-D color feature film, “House of Wax” (a remake of Michael Curtiz’s distinctive 1933 “Mystery of the Wax Museum”). 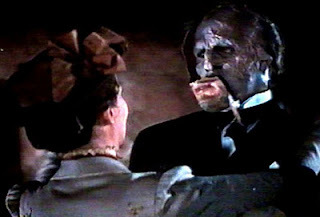 The unmasking scene in "House of Wax." 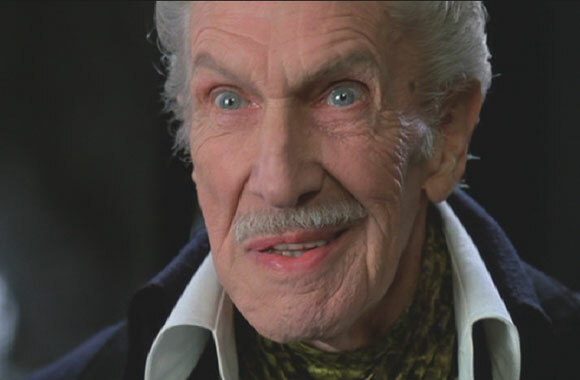 Price was an adequate leading man, but his presence as a tormented, mordantly mirthful anti-hero was much more powerful. He worked extensively in radio, most notably as the “The Saint” and in horror classics such as “Three Skeleton Key,” “Present Tense,” “Bloodbath,” and “Leona’s Room.” His role as a rich, brooding patrician in the 1946 film “Dragonwyck” prefigures all his later work. 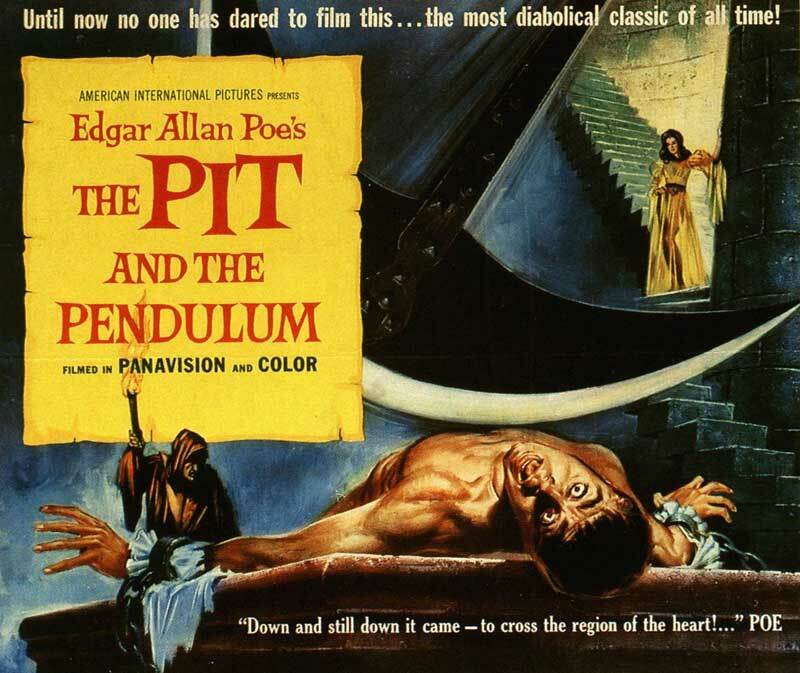 Parodists have feasted on, and many take issue with, his plummy, acerbic delivery, and the petulant aggression present in his horror roles. However, he would not have wound up being termed “The Merchant of Menace” without them. 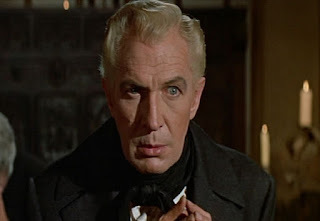 As with Karloff, Lorre, Carradine, Rathbone and Chaney, he preferred steady employment in a genre rather than virtuous penury. Price could carry almost any kind of story, as shown by his work in the William Castle cheap gimmick-rigged creepies “The Tingler” and “House on Haunted Hill” (for “Tingler,” Castle planted electric buzzers under some seats in the theaters; for “House,” “Emergo” unleashed a plastic skeleton that flew on wires over the heads of the audience members). 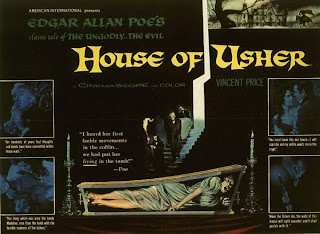 Corman, despite his reputation as a purveyor of schlock, was actually quite a good director. 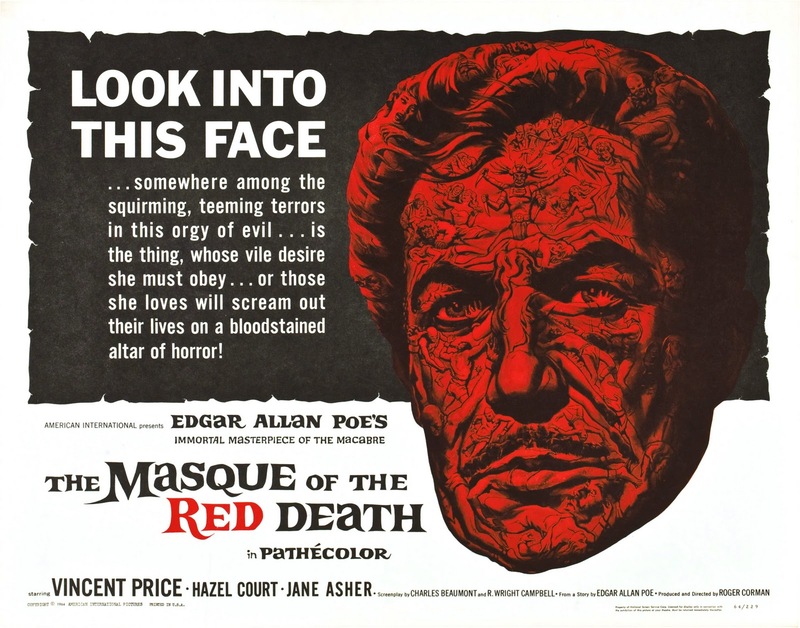 The rich, gloomy art direction of the Poe films was accentuated by the robustly over-the-top dialogue, effective editing and genuinely compelling story lines. Later Price films are a mixed bag. Some of the work is so-so, but there are a few gems. 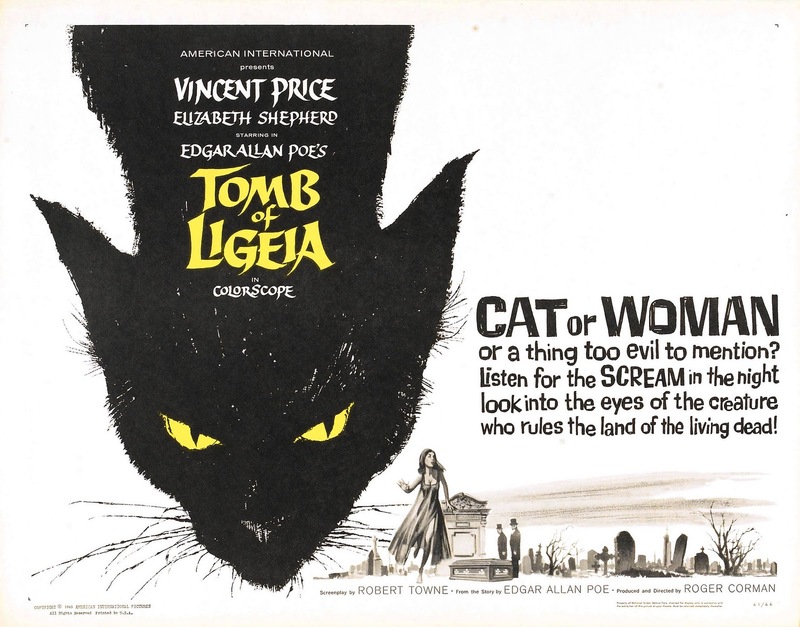 His weary and cynical vampire hunter in “The Last Man on Earth,” the first adaptation of Matheson’s “I Am Legend”; his double appearance as the gruesomely vengeful Dr. Phibes, and his Matthew Hopkins, the brutal Witchfinder General, are all memorable creations. His best work is in his favorite film: “Theater of Blood,” in which he plays the scorned actor Edward Lionheart -- who dispatches his victims, a gaggle of critics, by killing each in a manner performed in a Shakespeare play. 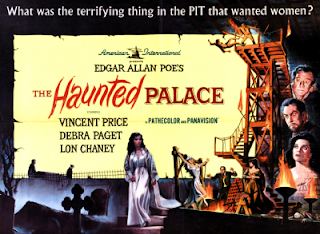 It gave Price the chance to recite some passages from the Bard, and leaves the viewer wondering what he might have made of roles such as Coriolanus, Titus Andronicus, Macbeth or Lear. Sweetly, and appropriately, he made his last significant appearance as The Inventor in Tim Burton’s “Edward Scissorhands.” The best account of his life was written by his daughter Victoria in 2000. 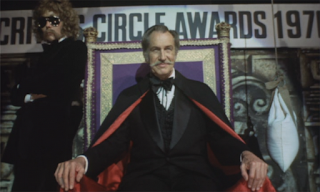 “Vincent Price: A Daughter’s Biography” is exceptionally well-written – too often, the books children write about their parents are either white-washes or belated acts of revenge. Hers is expertly researched, honest, fair-minded and compassionate. 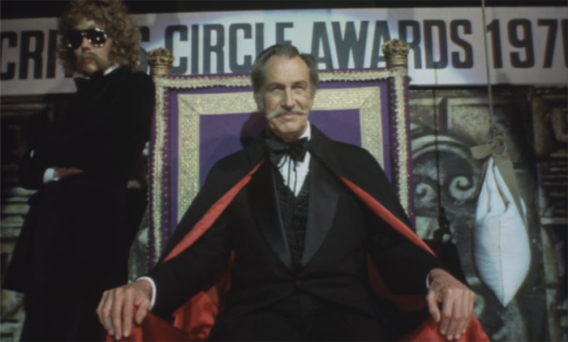 By the time his bulk of his career was complete, a new kind of horror film, vastly more graphic and much less dependent on sonorous line readings and sweeping gestures, was coming. 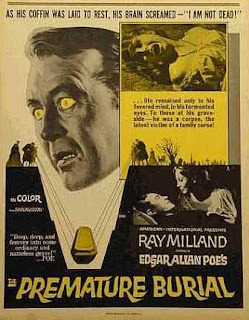 It was the age of “The Night of the Living Dead” and “The Exorcist” – and horror was becoming much more visceral. 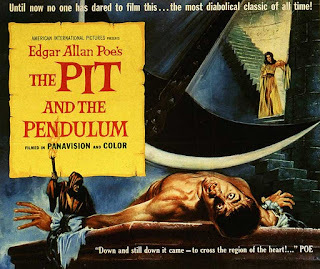 American culture is notoriously allergic to both tragedy and Shakespeare -- in the hands of Corman and Price, it came as close as it ever would to those heights.